Pink Petrol were chosen by RedPlane & Gunnebo back in September to design and develop a new responsive SharePoint 2013 website to allow their clients to see view their amazing range of products. Gunnebo is a global provider of security solutions and services for businesses, offering complete protection for assets, people and buildings – wherever you are. SpeedStiles are security lanes designed to provide the efficient control of ingress and egress within premises. 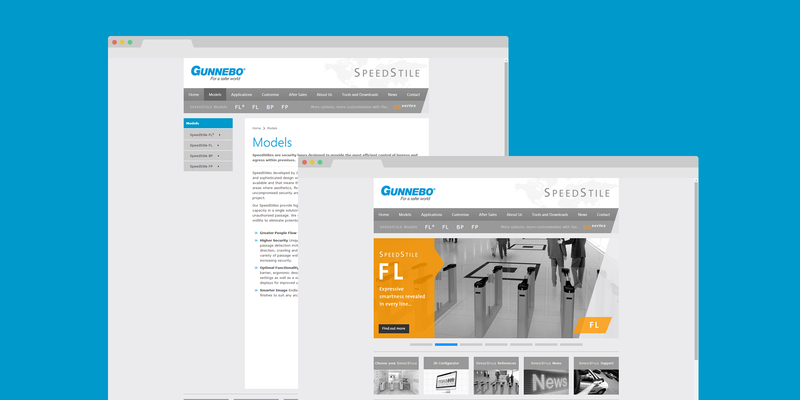 Pink Petrol working with Red Plane created a ground-breaking re-design & build of the new SpeedStiles website for Gunnebo – their first to move responsive design, based on SharePoint 2013 platform. 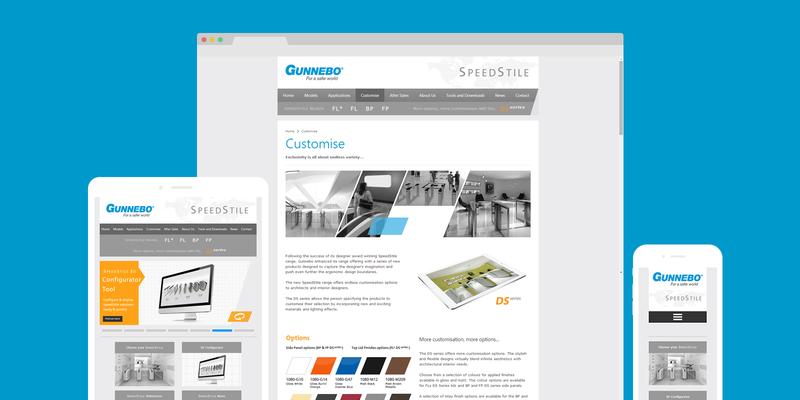 We started by working with Gunnebo to determine the right design for the website. They required something that was easy to use, clear information for the target audience and the ability to visually see the range of great products they offer. We determined the design and set about transforming the look a feel from flat design concept into SharePoint 2013. We added some extra functionality to cater for homepage carousel using jQuery to enhance the user experience. A simple to use user interface was paramount. We needed a range of different people to access the content as easily as each other. We worked with Gunnebo to polish the product naming conventions & further more how they could be structured within the website. We started from stratch a created a SharePoint 2013 masterpage that would house all the content using a wide range of page layouts for all content types. With responsive design in mind we needed a minimal approach without bloating out the code & effecting page load times. The website was required to work on the range of platform such as tablet, phone as well as desktop. We structured content and menus to ensure that it was accessed easily & more important quickly without effective the user experience. We used with our development partner RedPlane who assisted with all the development environments, staging servers and essentially taking our markup and factoring that into a visual studio solution to enable development to continue within the company. The site has set the bar within the company to what a website should be and should do. With an easy to use navigation & clear content the usage continues to grow. We are now in the process of adding more functionality and studying data that we have collected to make the experience even richer. "I was very impressed with the way they interpreted the brief, their creativity and expertise in producing a really modern and fresh looking design for our website." Looking for a company that can brand & design your new SharePoint intranet? We are that company. Then we would love to talk to you more, learn about what you are doing & then seeing how we could possibly help you deliver.